Stationery set in unbleached recyclable cardboard box. 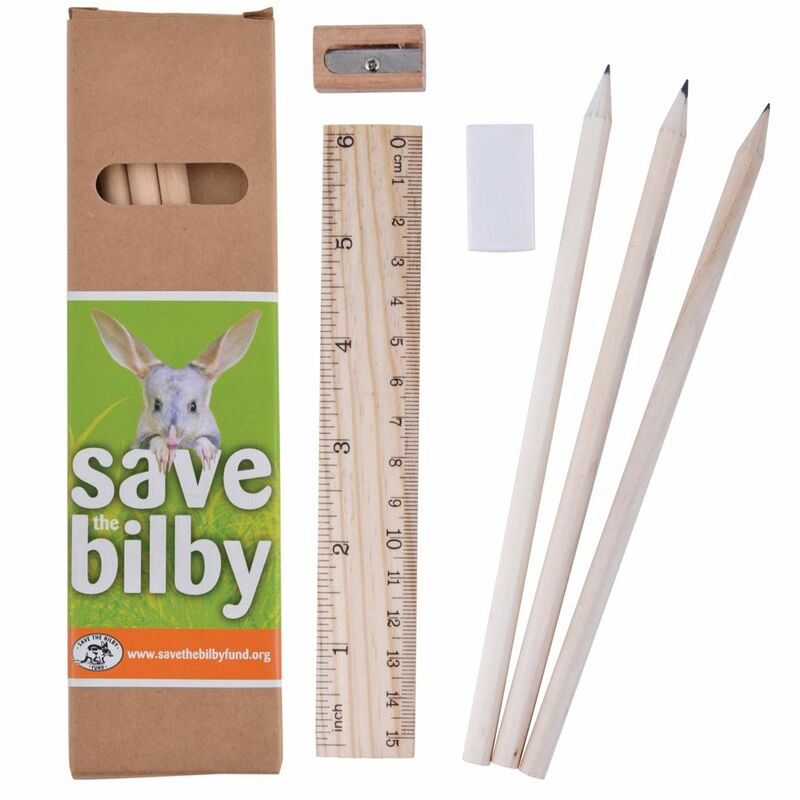 Contains 3 x natural case lead pencils- 15cm timber ruler- white eraser & natural pencil sharpener. Full colour label.